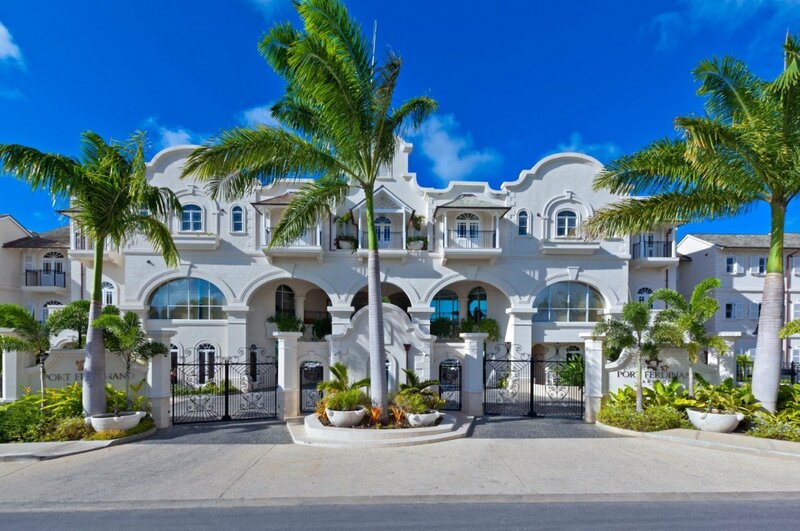 Villa Port Ferdinand | Harbourside Villas Barbados. 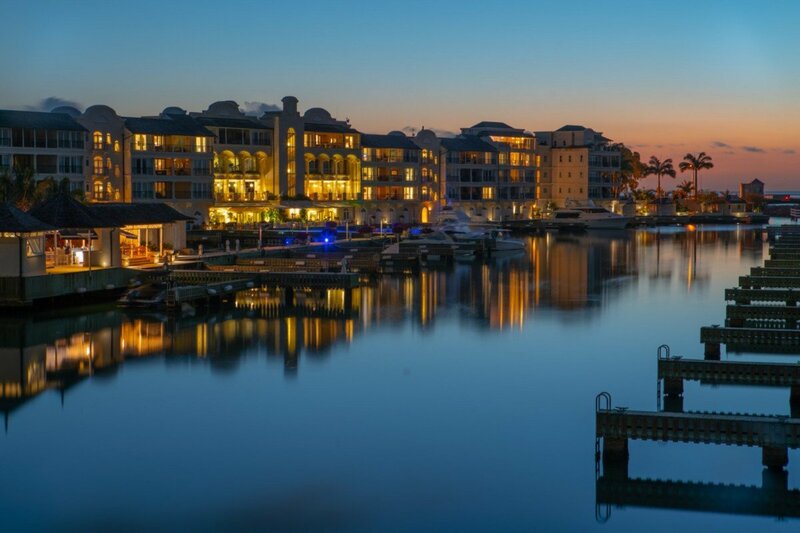 Don't let the term condominium make you think anything inaccurate about the stunning Villa Port Ferdinand | Harbourside Villas. 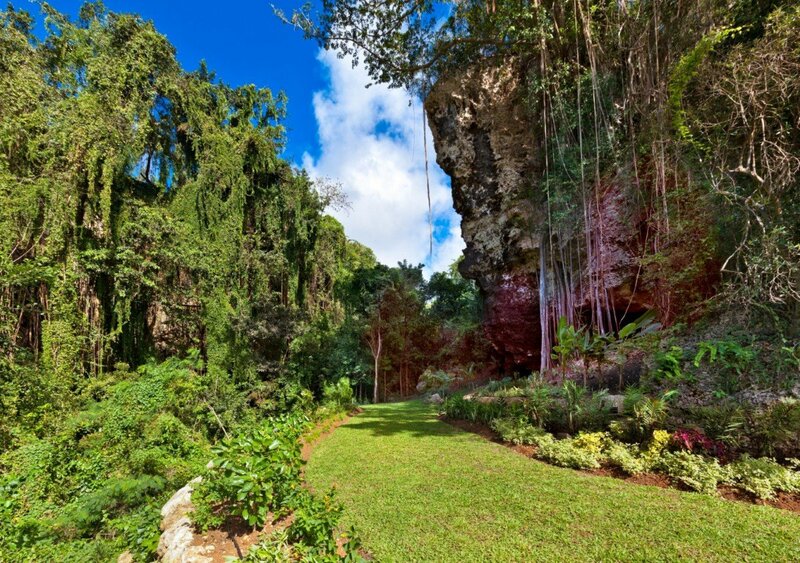 Part of an amazing new property at Barbados' northern end, it is a comprehensive destination with an abundance of luxury amenities, services and activities to enjoy. This three-bedroom condominium is the very height of comfort and beauty, and has been carefully designed and decorated for the most discerning tastes. Located within an enormous 16-acre community, it overlooks the central harbor and gazes out towards the sea and private beachfront below. 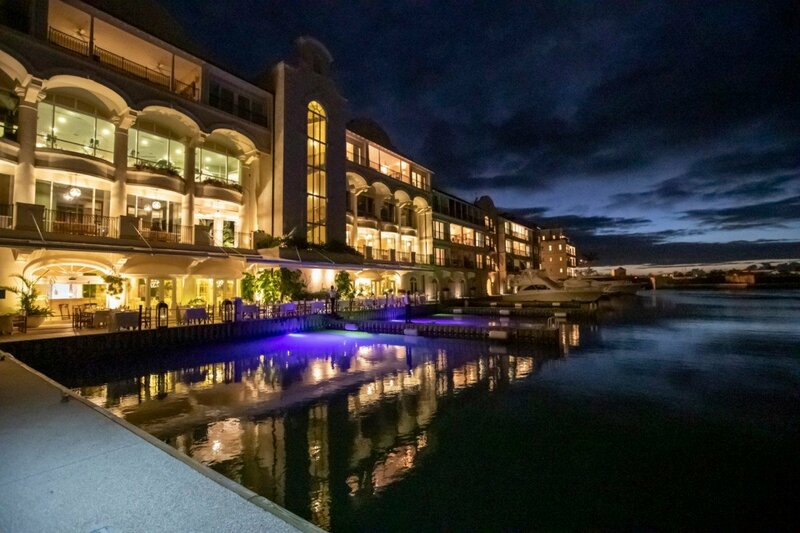 The property has been designed to offer all a traveler needs and features multiple waterfront cafes, gourmet restaurants and bars. There is a massive and truly stunning central pool complex with bridges, gardens, and even dining and bar services. 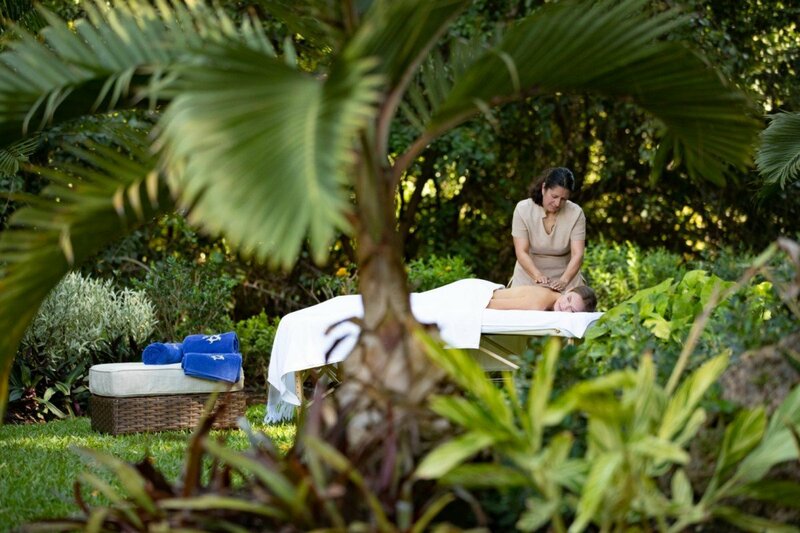 Visitors have the attention of their private concierge, business services and an activity or tour planning service. 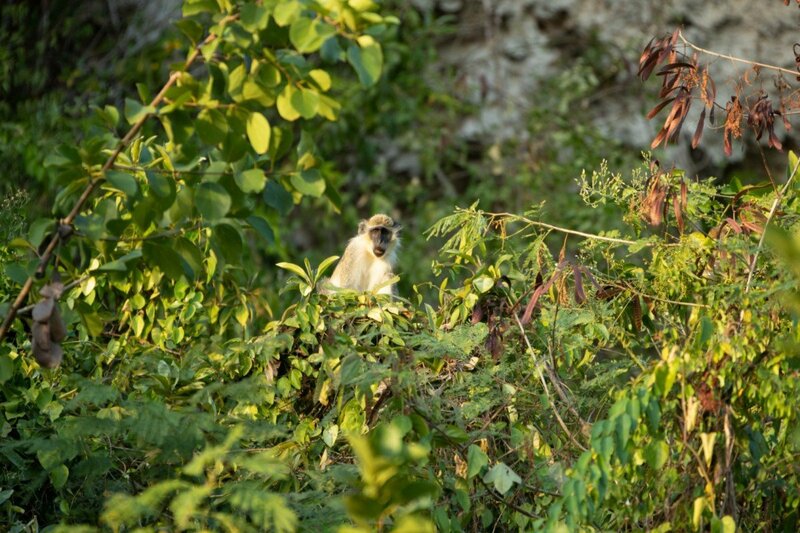 Yet, you may not want to wander far from your gorgeous villa. Designed with a pale palette of cream and sea blue, it features enormous open walls to capture the sunlight and sea breezes from almost every room. There is a great room with masterful, modern kitchen featuring the very best appliances, a dining space and an enormous living room. 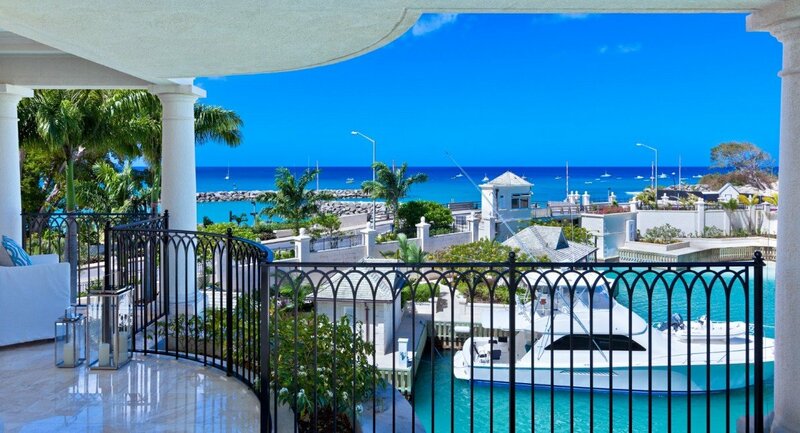 It opens to the private terrace with views of the entire complex and the sea beyond. 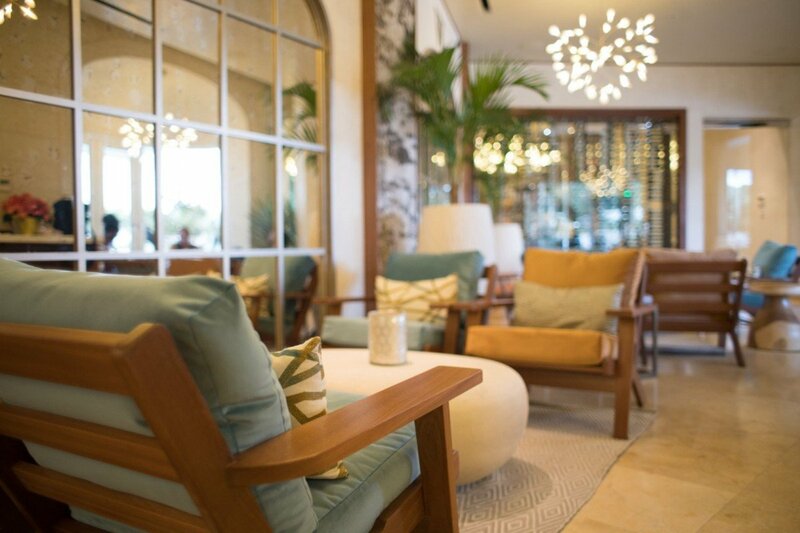 Here you can lounge in style or dine al fresco. The three bedrooms are also opulent retreats, and each feature a large and private terrace. Two gaze out to sea and one enjoys garden views. All three are king suites and feature enormous, private baths. 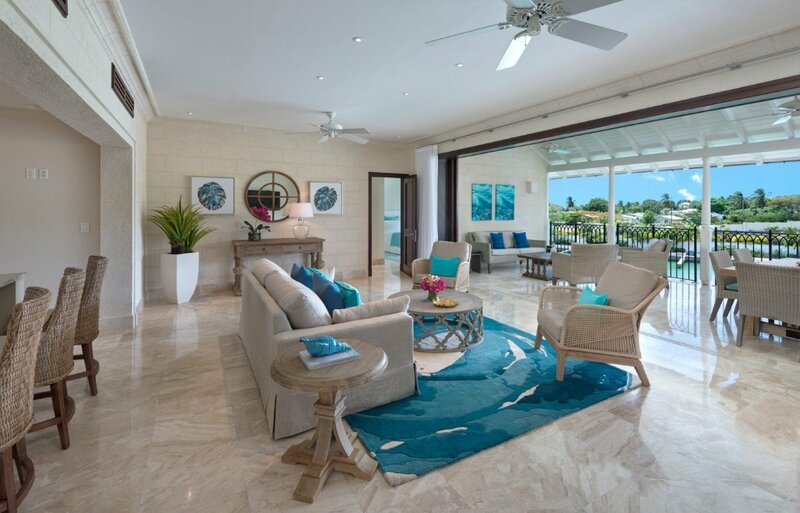 When you opt to stay at the Villa Port Ferdinand | Harbourside Villas, you get the benefits of a complete destination. 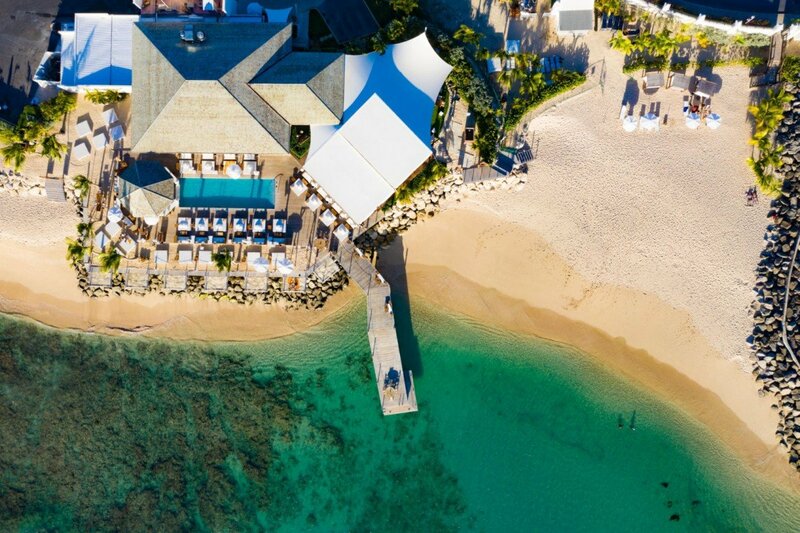 Whether you wish to wander the private beach, soak for hours in the pool or explore the island, you'll enjoy complete service and style. Beautiful 1, 2 and 3 bedroom units. Bedding configurations are based on accommodations booked. 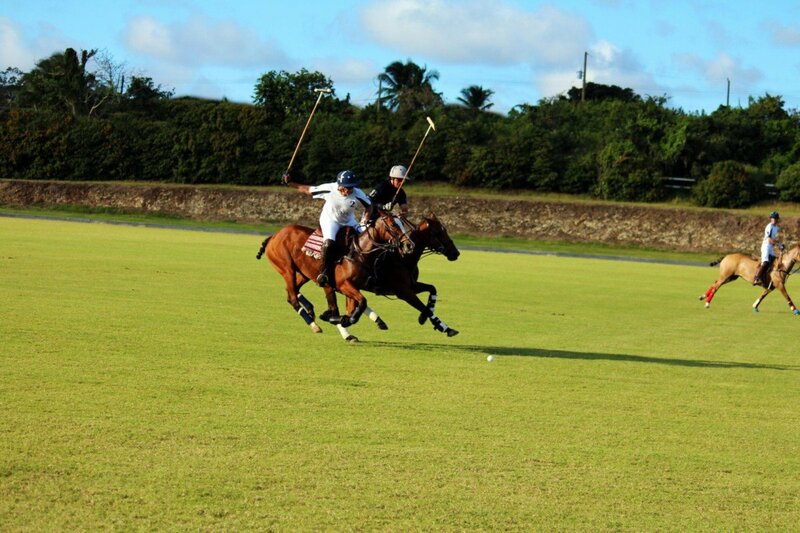 Cancellation Policy: Summer Season Cancellation Policy: For cancellations made 14 days following the booking confirmation US$250.00 is forfeited. Cancellation greater than 15 days prior to arrival, 30% of the gross rental is forfeited. Cancellation 14 days or less, 100% of gross rental is forfeited. Winter Season Cancellation Policy: For cancellations made 14 days following the booking confirmation US$250.00 is forfeited. 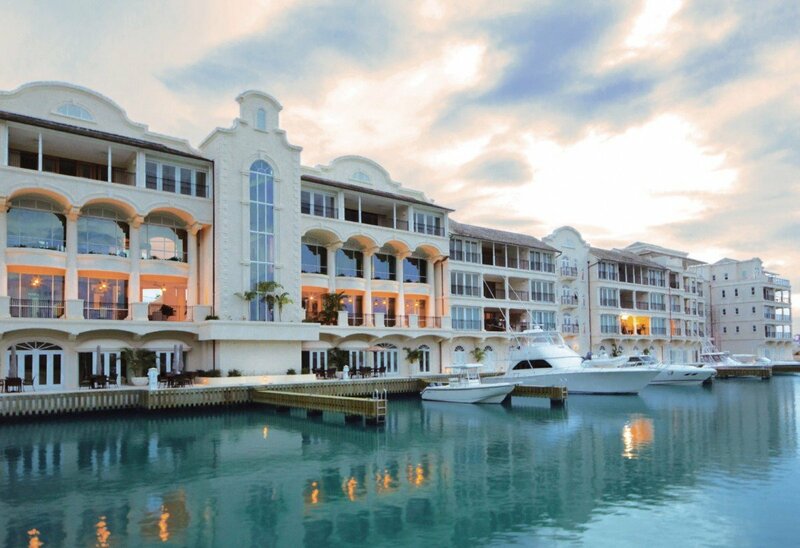 Cancellation greater than 30 days prior to arrival, 30% of the gross rental is forfeited. Cancellation 29 days or less, 100% of gross rental is forfeited. Holiday Season Cancellation Policy: For cancellations made 14 days following the booking confirmation US$250.00 is forfeited. Cancellation greater than 60 days prior to arrival, 50% of the gross rental is forfeited. Cancellation 59 days or less, 100% of gross rental is forfeited. 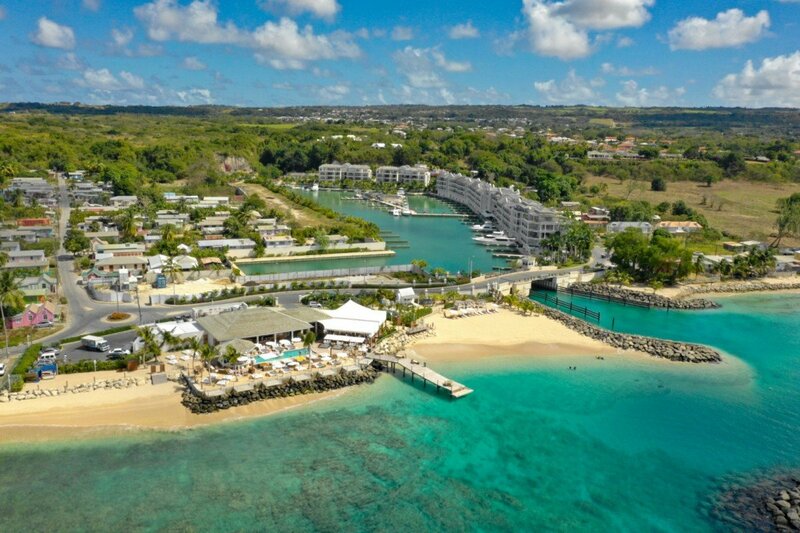 Port Ferdinand | Harbourside Villas is offering 30% off for travel between March 1, 2019 and April 30, 2019. 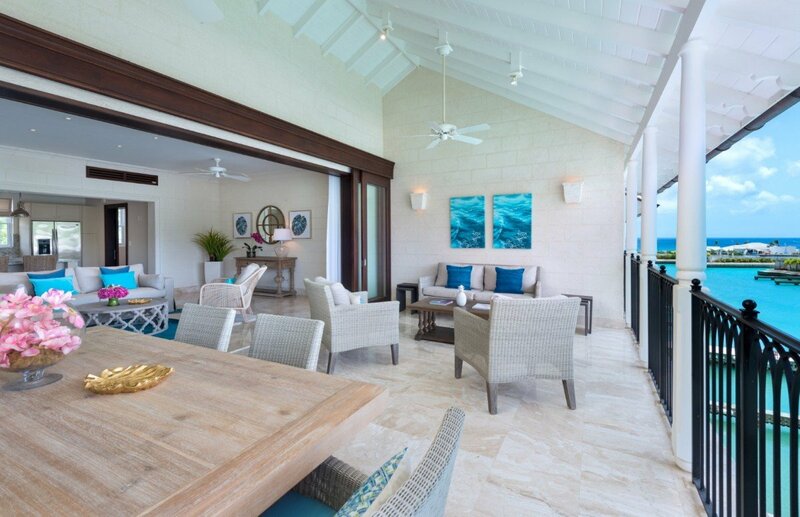 Port Ferdinand | Harbourside Villas is offering 30% off for travel between May 1, 2019 and December 14, 2019. Promotion applies to the 2, 3 bedroom rate category. 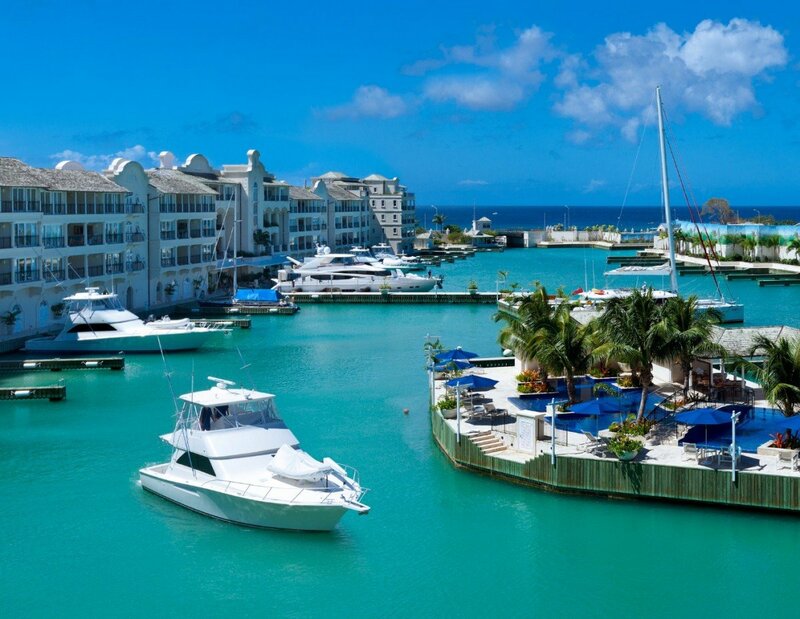 Port Ferdinand | Harbourside Villas is offering 25% off for travel between May 1, 2019 and December 14, 2019. 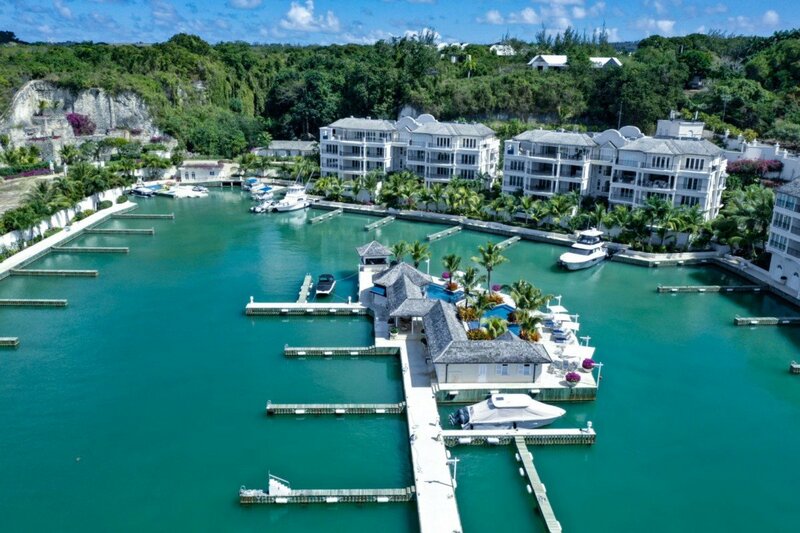 Port Ferdinand | Harbourside Villas is offering 30% off for travel between June 1, 2019 and September 30, 2019. 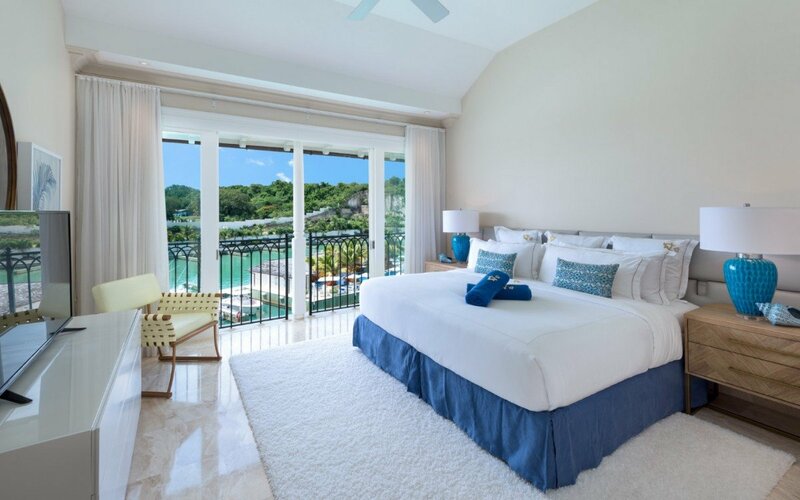 Port Ferdinand | Harbourside Villas is offering 35% off for travel between June 1, 2019 and September 30, 2019. Note: The rates above are subject to 17.25% Tax/Service Charge. 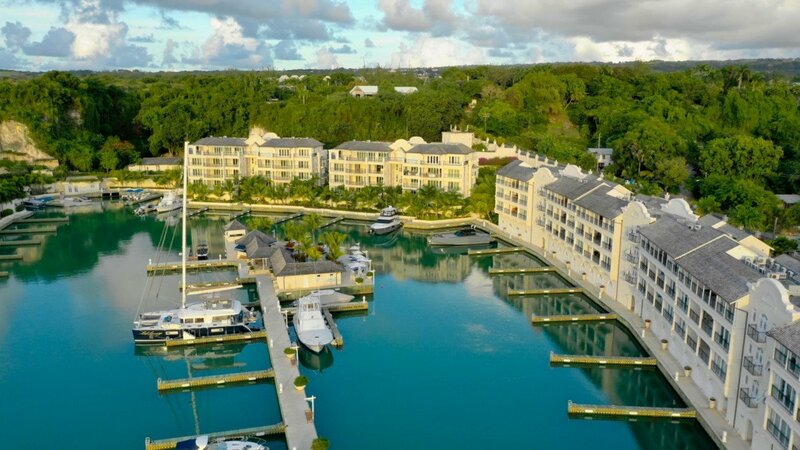 If you want that little piece of quality and privacy then Port Ferndinand should be on you list of places to stay in Barbados. It is further north then the famous St James area but St Peters is fast catching up. Cin Cin has just opened their new restaurant here, you also have the "Fish Pot" that is most definitely worth a visit in addition Port Ferdinand have just relaunched their own 5* restaurant. As for the apartments they are wonderful you want for nothing and you will not find bigger on this Island. The only minus you will find the fantastically furnished balconies are in the shade for almost the whole day. 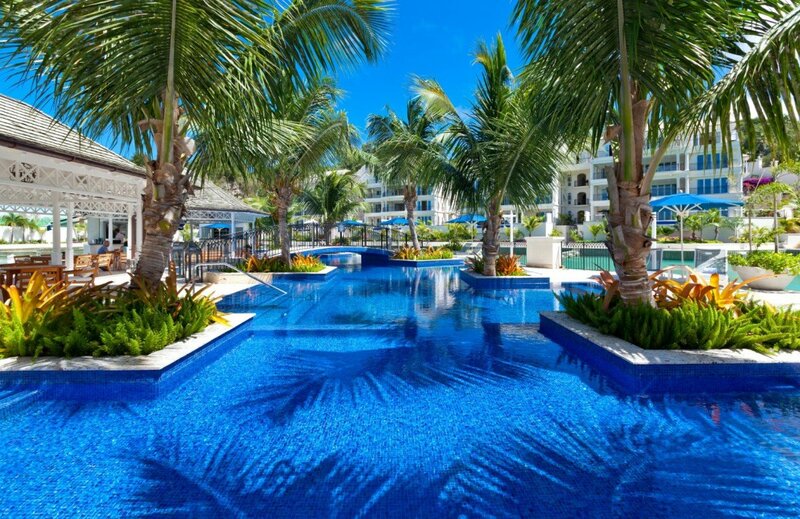 However you do have the Island in the center of the mariner that have a bar serving food and drinks all by the lovely pool. These apartments also come with a daily maid service so it is as close as you can get to a 5* hotel. A return visit is highly on the cards. 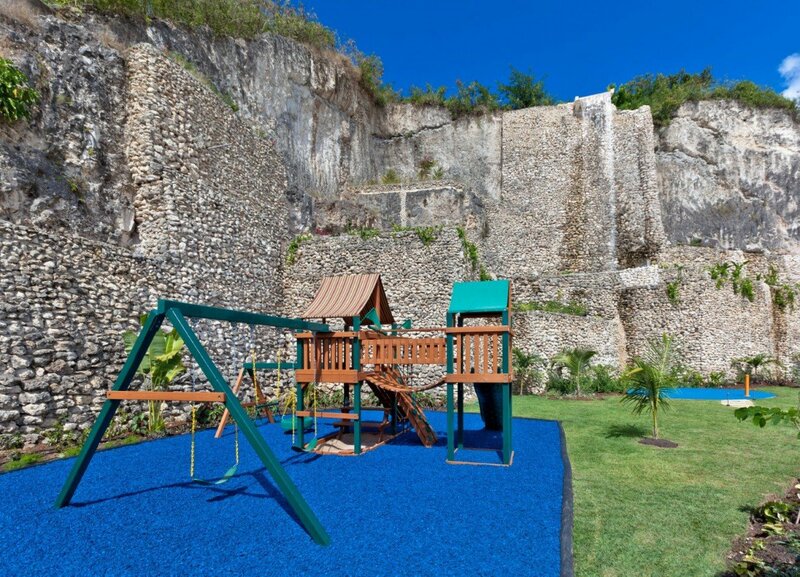 Arrived in Barbados on 7th sept and quickly fast tracked through the airport and taken to our resort. Tracey the concierge was waiting for us on arrival and showed us to our apartment. 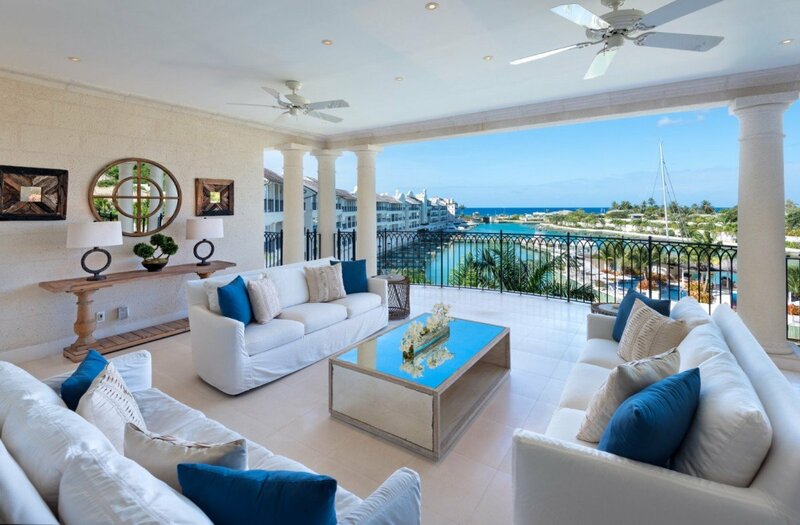 The 2 bed apartment was huge, fabulous lounge area and terrace overlooking the marina and ocean. Everything provided you could wish for. These apartments are truly stunning. 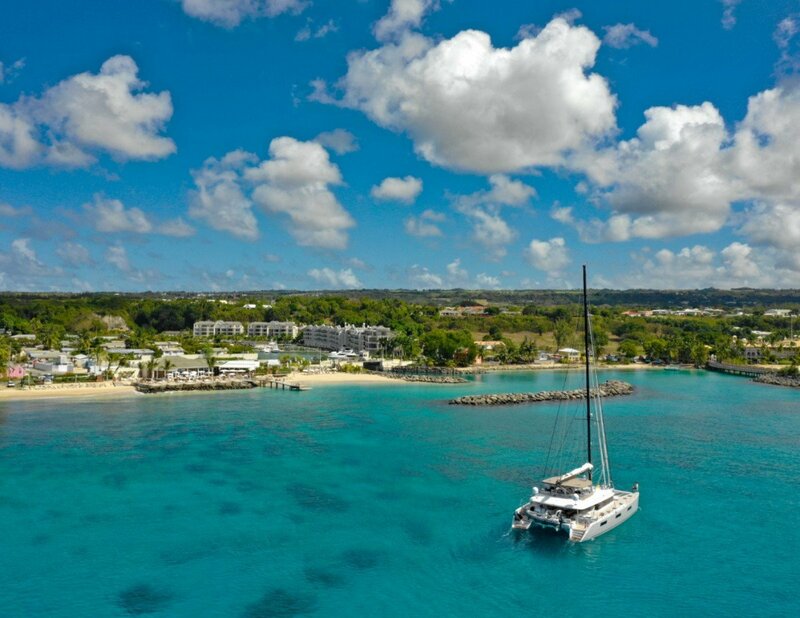 There is a small pool by the quayside, but no beach directly accessible from the marina, however a free water taxi will take and pick you up down the coast to various beaches up to the Mullins beach area. 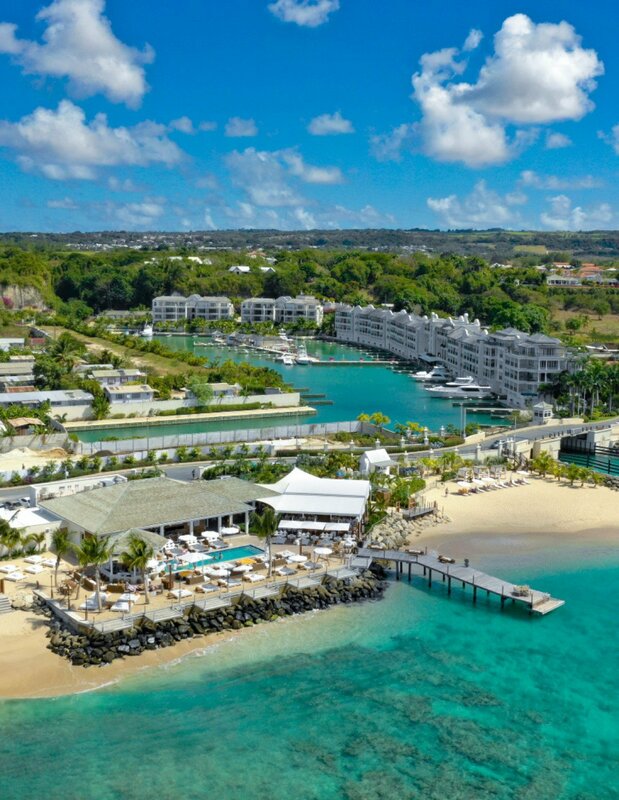 We used the beach and facilities at the sister resort, St. Peter's bay, and were made very welcome by the staff there, poolside bar and restaurant great for lunch. Tracey was so helpful and made our stay very enjoyable. She gave us lots of information and help booking restaurants and taxis and suggestions for places to visit. We chose to come to Barbados in the quietest month and therefore lots of restaurants and bars were closed (including the restaurant at port Ferdinand ) however on the plus side the beaches were deserted - no fight for sun beds!!! 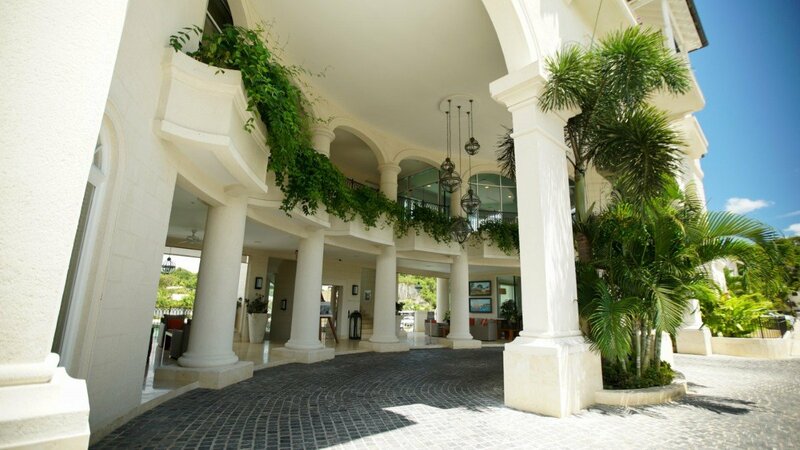 All the staff at the resort were very helpful and friendly and made our stay very memorable. Highly recommended. We had a lovely vacation in Barbados. We stayed in a 2 bedroom villa and had a view of both the harbor and the sea. It was one of the most luxurious places I have every visited. We were also really pleasantly surprised at how nice the beach area was. It is small but absolutely beautiful. We did also eat in the fine dining restaurant one night and the food was amazing. We can definitiely recommend this property. My stay here was absolutely amazing for every reason. The staff makes you feel right at home. It was a delight to see Maxine and Jarome in the morning for breakfast. The breakfast pizza is to die for. I really appreciate that they had milk alternatives too! The rooms were stunning. Everything was so clean and nice. The rooms are very spacious as well. 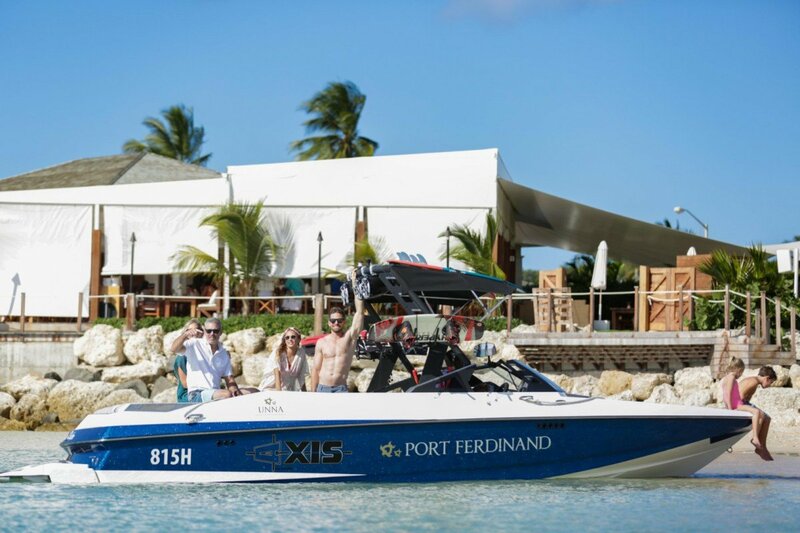 Port Ferdinand is working on their beach right now, but they offer a water taxi service to their sister property if you want to use their beach as well. I cannot wait to come back!